The foundation and core of what we do is always around the support group meetings, where we have a chance to meet all in one space. Building friendships, exchanging information and ideas, and offering support when are where it is needed the most. We pride ourselves on tackling these difficult issues, that have many devastating symptoms and serious challenges – always in a positive way and in an atmosphere of hope and encouragement. We always aim for every member to finish the meeting feeling better about their lives than when they entered the room. As our group meetings are hosted by the wonderful people of the London Road Clinic in Leicester, are already in a space that it sympathetic to any particular mobility or accessibility issues and with staff totally understanding of our balance challenges. All facilities are on the ground floor with no requirement to use steps or stairs. A typical meeting will start with a general news update on what the support group is planning to do, organise, support for the near future. We also pride ourselves on always consulting with the members on what their views are regarding our future priorities and actions. It is after all – your support group. We then look to have an “Expert Guest Speaker”, who has relevant and often valuable insight into some aspect of balance disorders, ranging from treatment, research, associated services – to personal stories of living with such challenges. Every meeting will bring a new speaker who has much to share with our group and will almost certainly inspire, challenge and benefit all of our members who attend. Every presentation includes a long period of questions and answers, so each member has an opportunity to raise subjects close to their own heart and condition. 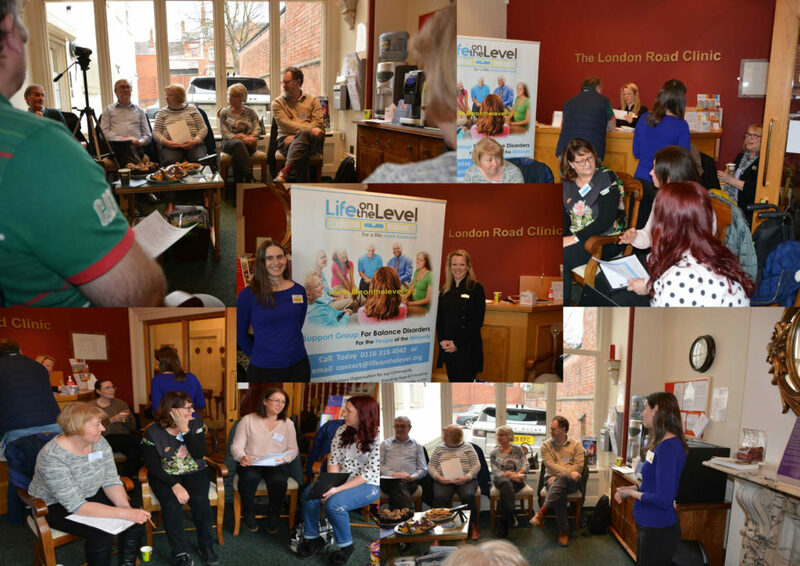 The meeting then enters a very important stage where as a group we can debate any issues raised by individual members – normally seeking out other members advice or experience of certain issues or situations. Any key information is recorded for sharing in post meeting report notes for all. Finally, the group can then break out into smaller groups or one to one conversations, and where our guest speaker will also be available for further discussion. Members then can choose to depart when ready. A typical meeting will last for 90 minutes. Meeting notes and audio / video recordings are made available after the meeting to members, so there is no need to take detailed notes at the time. We hope you will take the step to come and join us at our next meeting, where we are there to offer our help and support to you. You will be most welcome. For those who cannot attend our group meetings, please do not despair, as we issue full meeting reports, normally with audio and video recordings of key presentations with any important information & web site links – to all members. Please also remember that as isolation is a common problem faced by many members, we also provide our Balance Buddy program to maintain contact without the need to attend meetings.